The 138th Kentucky Derby will run this Saturday and if you are not one of the fortunate who will be in Louisville Kentucky sipping on bourbon and cheering on the thoroughbreds, there are a number of options here in Miami that will rival the sophistication, but will showcase the event in Miami Style! The Miami Style of Derby watching includes more bright colors higher heels, since there are few events that will be on the grass, and since the event also takes place on Cinco De Mayo, it will surely incorporate Margaritas! Miami has a number of notable tracks that will host events along with one of our favorite restaurants in South Beach, Yardbird. 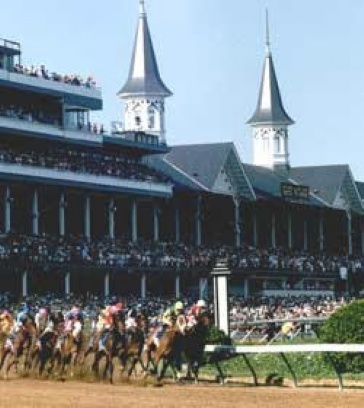 Below are the events going on in Miami for the Kentucky Derby, we hope you enjoy your day, and for information on the Southern Style homes and condos in Miami Beach, contact Miami Beach Condos and Homes today, while we specialize in more modern homes, there are some traditional condos and developers in Miami that cater to the more gentile sensibilities! Gulfstream Racetrack: The Gulfstream Racetrack is offering a full Cinco De Mayo and Kentucky Derby extravaganza with a top of the line prizes. Christian Loubotin Shoes and Dom Perignon will be awarded to the lady with the wildest and biggest hat. Mint Julips and Margaritas will be served in custom designed Kentucky Derby 2012 cups and races will be occurring all day up until this BIG ONE. All of these activities will commence at 10:30am and there is also a wide variety of both casual and mid-level dining at Gulfstream. This truly is a complete celebration, not for the faint of heart. 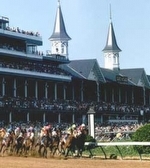 Calder Race Course: Calder Race Course calls its Derby Day, Florida’s Largest Kentucky Derby Party, featuring two buffets, one on the 4th floor for $20 and one larger and more comprehensive buffet on the 5th Floor for $37.50. Drinks will be none other than Kentucky Bourbon and Mint Julips. Live Music and Races will commence at noon and will continue to the air time of the derby. Yardbird: Yardbird the swank Southern Style restaurant in South Beach will be offering a truly South Beach Style Derby Day. Kentucky Rose cocktails and Mint Julips made with the one and only Kentucky Bourbon, Makers Mark. The menu deviates in an imaginative way from the standard Derby fare with BBQ Hominy, jars of fried pickles, hangar steak bites, and specialty lettuce wraps. Drink and menu specials last allllllllll day!